Customer Reactivation Emails: Where to Start? If there is one tidbit of wisdom that marketers need to embrace sooner rather than later, it’s the notion of customer retention. Sure, customer acquisition is always going to be a top priority. But if you can’t hold on to these newly won customers, what does it actually say about your brand? Attracting and converting new customers is a long and expensive process. Everything from social media ads to content creation to cold email campaigns requires a huge amount of effort (and budget) to generate tangible results. With customer retention, on the other hand, the tactics are much cheaper. Such simple but effective re-engagement method as exit-intent popup, limited-time offers or loyalty programmes can help you keep paying customers coming back for more. In fact, 70% of companies that place more importance on customer retention say it’s a cheaper strategy than focusing entirely on customer acquisition. If you’re looking for ways how to quickly and surely boost your sales, let’s talk about customer re-engagement and retention strategies that can have an immediate impact on your bottom line. If you’re like any other business, you probably have a bunch of inactive clients. On average, 20%-25% of a company’s customers are inactive. These are the customers who purchased from you in the past, typically only once, and then went dormant. The key piece of information here is that these people have already been converted to paying customers, so the long and difficult job of convincing them to choose your business has been completed. Given that the probability of selling to an existing customer is 60-70%, while the probability of selling to a new customer is only 5-20%, customer reactivation has a lot of potential to deliver quick profits. Since you already have some information about your clients, such as their email address and data on past purchases, email is the best channel to re-engage them. 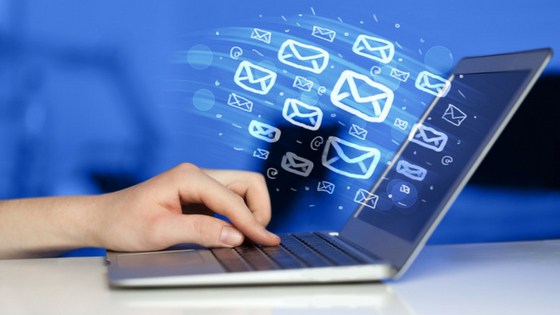 Email is still the favorite direct marketing channel among marketers. While engaging via social media, blog or website is convenient and simple, email allows you to personalize your communications and tailor the content to your client base. What seems like a straightforward tactic can quickly get confusing if you don’t have a plan. So the first and most important step here is to identify your inactive customers. How do you define an inactive customer? Is it someone who bought from you last year and hasn’t opened a single email since? Or is it someone who purchased from you six months ago and was active on your website within the last three months? There is no right or wrong way to segment your inactive clients. However, it’s important to keep in mind that people who bought from you a year ago will have a different perception of your brand than those who bought within the last three months. You have to carefully consider the stage they’re in and tailor your content to mirror their expectations. Now that you’ve neatly divided your inactive customers into different segments based on their inactivity window and/or additional criteria, you should have a better idea of what re-engagement tactics would be most effective. For instance, customers who’ve been dormant for the last 12 months or longer will be very difficult to re-engage. The win-back rate is typically very low and the only tactic that seems to be somewhat successful is special offers and discounts. Other popular reactivation tactics include sharing relevant updates, offering discounts on similar products they bought in the past, inviting customers to update their email preferences, and sending behavioural emails that are triggered by certain dates, events or actions. To avoid the dip-in-and-out sort of approach to reactivation emails, try automating some of them to ensure consistency and save time. Testing ideas and tweaking your work should be a culture, not a one-off project. If you choose to automate some of the reactivation emails, be sure to come to them every couple of weeks to assess the results and make necessary tweaks. Your win-back rate will highly depend on how well you understand your segments and appropriate triggers. Sticking to reactivation best practices and proven techniques will boost your chances of achieving good open and click-through rates. It all starts with a good subject line. Keeping it short and sweet, using personalization tokens and a familiar sender name are some of the top tips for crafting an effective subject line. Marketers also swear by using “We miss you” or “Come back” in the subject line, as studies show this simple trick can boost the open rate by 13%. If you’re sending a special offer email, make sure you’re expressing the discount in dollars rather than percentage. Customers are more likely to open an email that says “Claim your $15 discount” than “Grab your 15% discount”. According to Experian, combining the above two tactics is the best solution for a winning subject line. Email subject lines that feature the phrases “Come back” and “$ discount” are associated with a 66% growth in revenue! Make your email as personalized as possible. Try referring to your customers by name, including details on their past purchases or using any other type of data you have about them. Don’t make the mistake of ignoring inactive customers. If you apply the right tactics and personalize your approach, you will be spending six times less to generate new sales!